Hannah Wallace wins the Gold award. 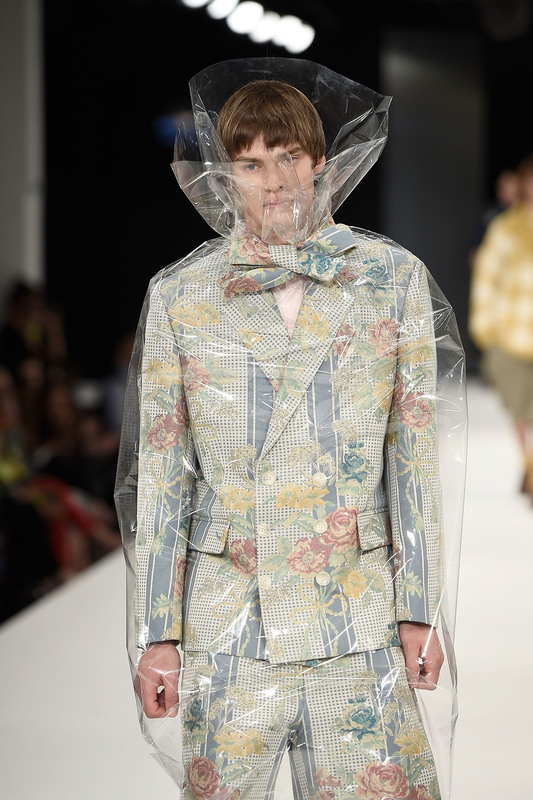 After Nyne’s Laura reports on the Graduate Fashion Week Award Ceremony. 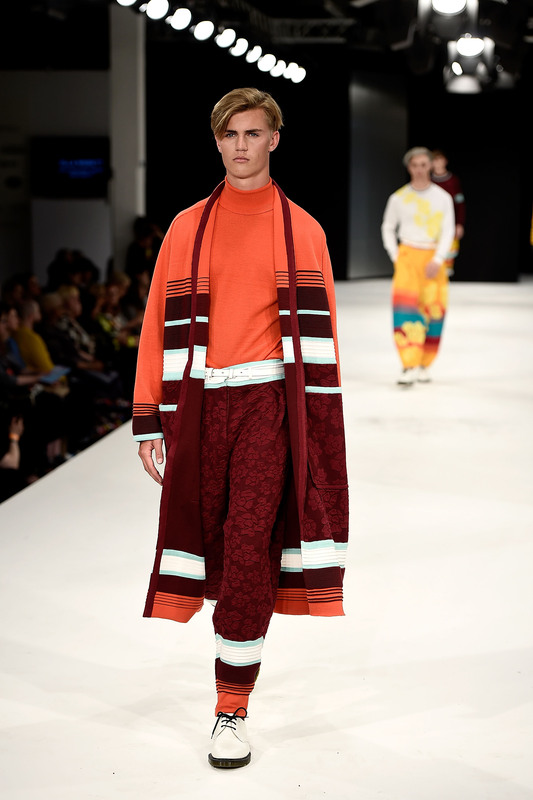 Graduate Fashion Week (GFW) 2015 came to a close on Tuesday evening at the Old Truman Brewery in a fabulous award ceremony, presenting the 25 best catwalks of the week. Manchester School of Art graduate Hannah Wallace won the highly coveted Gold Award, as well as the Creative Catwalk Award. Wallace will receive £10,000 to kick-start her design career. There was a distinct revolutionary spirit amongst the top 25 designers. University of East London’s Kayleigh Walmsley’s catwalk included a red flag that read ‘Don’t buy the Sun’ and one of the pieces in the collection of Nottingham Trent University’s Ella Nisbett bore the slogan ‘Finger up to gender’. Maurice Connolly, UCA Rochester presented a gothic vision of femininity. His models emerged with a backtrack of a dissonant piano piece. His dark collection featured oversized bows, full skirts and strings of pearls – the wardrobe of a sinister Alice in Wonderland. However it was in the menswear that our favourite pieces were found. As Vogue International Editor Suzy Menkes remarked of the evening, ‘it’s nice to see menswear coming out.’ There was definite sense of androgyny. Bright lace and florals were the focus of De Montfort Unversity’s Nadia Kelly’s collection. The opening model in UCA Epsom’s Holly Cooney’s collection came wrapped in celophane over a pastel coloured suit, which suggested the delicacy that we often associate with womenswear. The aim of GFW is not only to showcase the best of Britain’s young design talent but also to support fashion graduates as they commence their professional careers. GFW has served as a spring board for several now prominent designers, including Stella McCartney, Julien MacDonald OBE and Christopher Bailey. Posted in art and tagged graduate fashion week, style, style magazine. Bookmark the permalink.